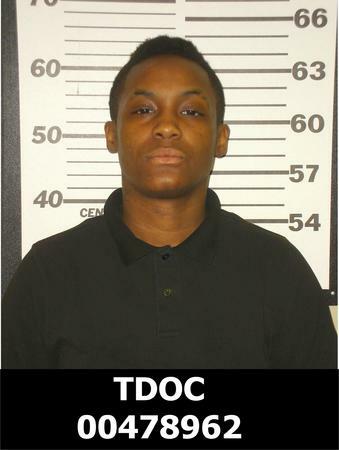 NASHVILLE- The Tennessee Bureau of Investigation’s recent fugitive was captured today, Lesandru Deniesh Webster of Columbia, TN. A couple of hours ago, Webster was located by agents of the Tennessee Bureau of Investigation, deputies of the U.S. Marshals Service, detectives of the Lewisburg Police Department and officers of the Columbia Police Department. Based on a tip provided to the 1-800-TBI-FIND line, Webster was taken into custody at 230 Holly Grove Road in Lewisburg, TN without incident. Lesandru Webster AKA “Precious” was wanted by the Columbia Police Department and the Tennessee Bureau of Investigation (TBI) for her participation with several other individuals in a scheme using Facebook to lure a robbery victim. Around July 19th, 2014, a male victim was kidnapped and forced at gunpoint to withdraw cash from an ATM. Webster has outstanding arrest warrants from Columbia Police Department for Especially Aggravated Kidnapping and Aggravated Robbery. Webster was transported to the Maury County jail and is being held without bond.